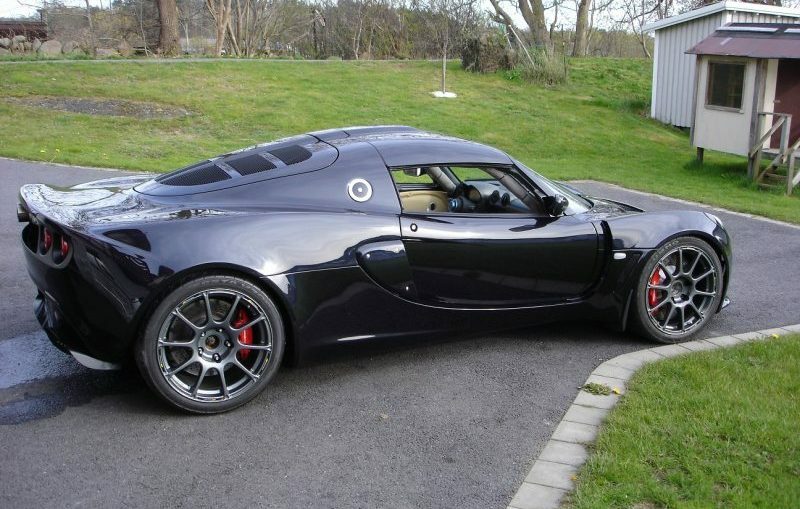 Lotus Exige with BMW S85 V10 SWAP! Is it the sound,the low-end torque,the high-end RPMs, or some combination, people fall in love with the M5 V10? Johan Zackrisson became fascinated with the BMW V10 ever since he installed one in his E30 M3. That experience made him want something little bit more extreme! 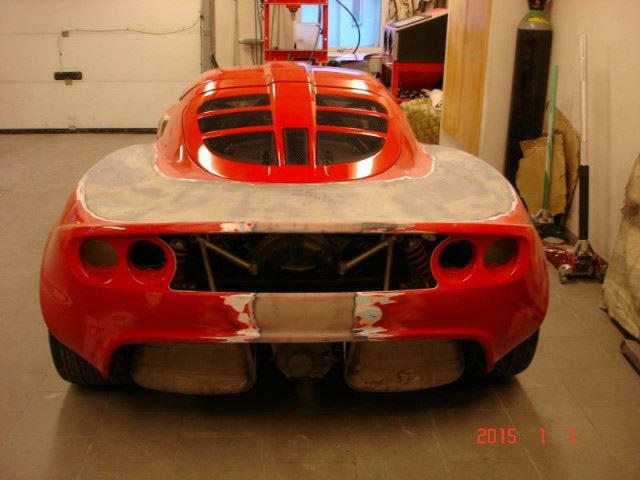 Johan started his next project in 2011 when he purchased a red Lotus Exige S from the UK. 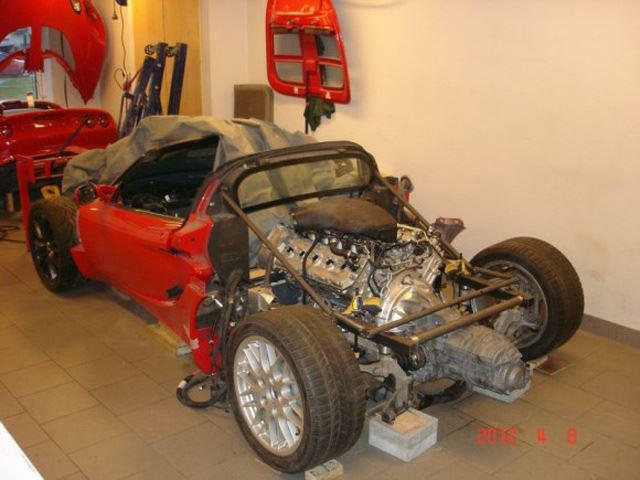 Soon after he removed the factory engine and began the challenge of fitting a 5.0 L S85 V10 into the area designed to hold an inline-four with half the displacement! He accomplished this by building a custom tube rear subframe to hold the drivetrain. He also extended the wheelbase by 27 cm (10.6 inch) and the track in the back by 11-12 cm (4.3-4.7 in) and 9 cm (3.5 in) in the front. 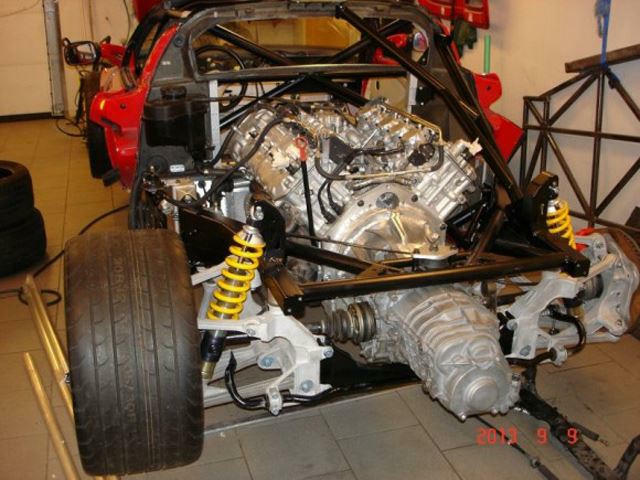 The BMW W85 V10 engine is connected to a Porsche Boxster S six-speed transaxle that has been fit via a custom made adapter. The brakes were upgraded to larger Porsche 997 GT3 brakes. The front and rear suspension were upgraded with components from a Porsche 996 and KH Motorsport adjustable shocks. The wheels are a set of ATS GTR Motorsports with 9×18 front and 11×18 rear. 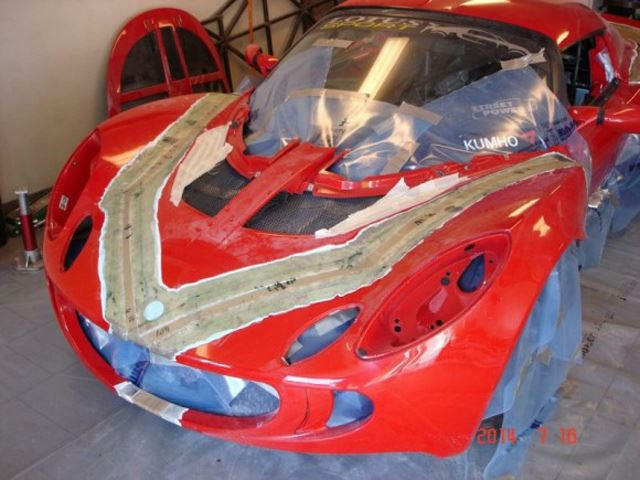 After the engine and transmission were working as supposed, Johan went to work on modifying the body panels to fit the extended wheelbase. Most of the panels were widened and made longer. The air intakes were enlarged for more cooling and the splitter was widened and after that the Lotus was painted BMW carbon black metallic! 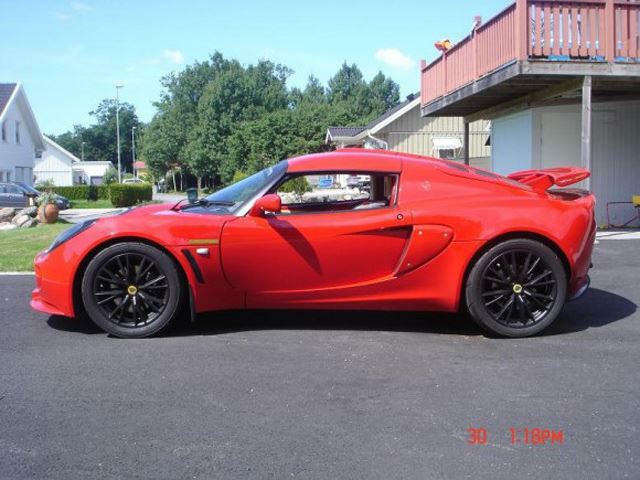 Watch the videos of this badass Lotus Exige with M5 V10 swap below and leave a comment or share this one with your friends. Follow us also on Facebook! 1400HP Supra Gettin’ Rowdy – Rolling Anti-lag! The Ultimate Street Car – 1500HP No Prep Racing and more! Worlds Quickest Stock Bottom End RB-26 GTR? Lamborghini Huracan LP640-4 Performante Exhaust SOUND! Accelerations & Revs! 50 PSI 3,4 BAR BIG Boost street EVO!